“The pres­i­dent-elect has cam­paigned with an open­ly anti-human-rights agen­da and fre­quent­ly made dis­crim­i­na­to­ry state­ments about dif­fer­ent groups of soci­ety. 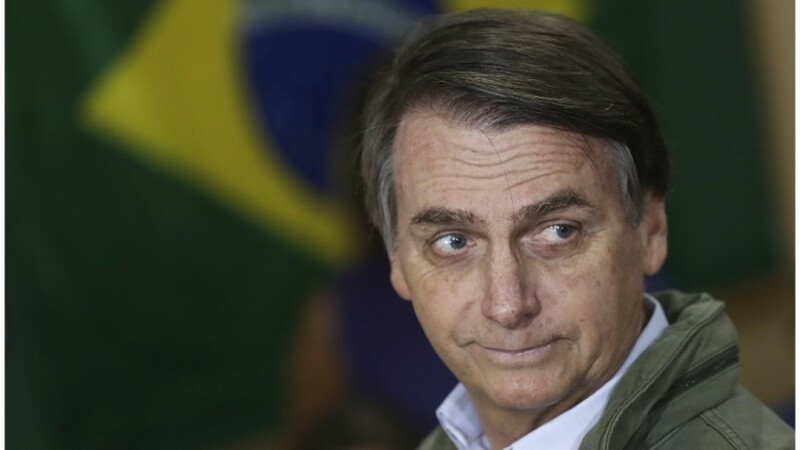 “His elec­tion as Brazil´s pres­i­dent could pose a huge risk to Indige­nous Peo­ples and quilom­bo­las, tra­di­tion­al rur­al com­mu­ni­ties, LGBTI peo­ple, black youth, women, activists and civ­il soci­ety orga­ni­za­tions, if his rhetoric is trans­formed in pub­lic pol­i­cy. Bolsonaro’s cam­paign promis­es include loos­en­ing gun con­trol laws and grant­i­ng pri­or autho­ri­sa­tion for law enforce­ment offi­cials to kill. These pro­pos­als, if adopt­ed, would worse the already dire con­text of lethal vio­lence in Brazil, where there are 63,000 homi­cides each year, more than 70% of them from firearms, and police com­mit approx­i­mate­ly 5,000 homi­cides a year, many of which are indeed extra­ju­di­cial exe­cu­tions. More­over, Bol­sonaro has threat­ened Indige­nous Peo­ples’ ter­ri­to­ries, to change land demar­ca­tion process­es and to autho­rise major nat­ur­al resource exploita­tion projects. He has also spo­ken about relax­ing envi­ron­men­tal reg­u­la­tions and crit­i­cised Brazil’s envi­ron­men­tal pro­tec­tion agen­cies, thus endan­ger­ing the right of all peo­ple to a healthy envi­ron­ment. Brazil has one of the high­est rates of killings of human rights defend­ers and activists in the world, with dozens killed every year for defend­ing rights that should be guar­an­teed by the state. In this grave con­text, the president-elect’s state­ments about putting an end to activism and clamp­ing down on organ­ised social move­ments present a very like­ly risk to the rights of free­dom of expres­sion and peace­ful assem­bly guar­an­teed by nation­al and inter­na­tion­al law. Bol­sonaro and Mourão, who are both mem­bers of Brazil’s mil­i­tary reserve, have also pub­licly defend­ed state crimes com­mit­ted under the for­mer mil­i­tary regime, includ­ing tor­ture. This rais­es the prospect of a regres­sion in the pro­mo­tion of human rights, since the end of the mil­i­tary regime and the adop­tion of the Fed­er­al Con­sti­tu­tion of 1988. “Brazil’s pub­lic insti­tu­tions must take firm and deci­sive action to pro­tect human rights and all those who defend and mobilise for rights in the coun­try. These insti­tu­tions have a key role to play in pro­tect­ing the rule of law and pre­vent­ing the pro­pos­als from mate­ri­al­is­ing.